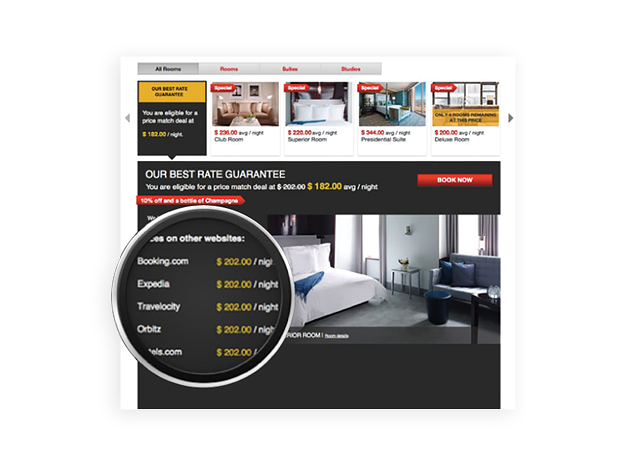 Tired of weak booking engine and CRS support? The most intense service and support of any hotel distribution firm. No other company offers unlimited, US-based training and expert, 24/7 revenue manager support. We promise personalized account management and the easiest tech transition you will ever experience. 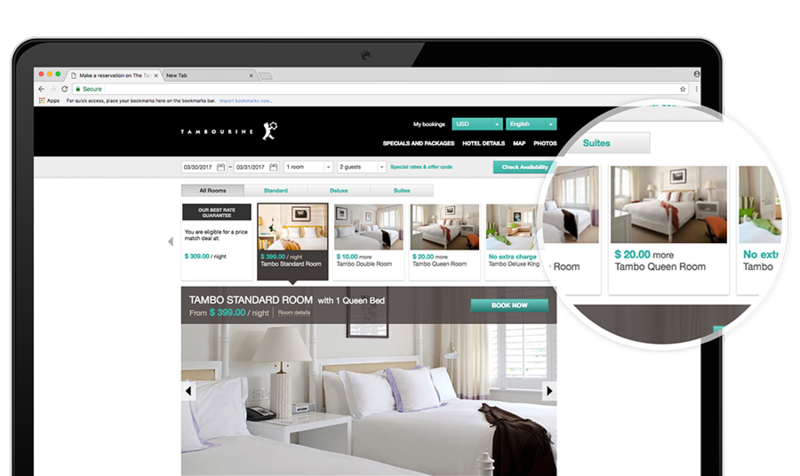 If your rates and inventory aren’t available everywhere potential guests are looking, they can’t book your property. Our global distribution system ensures instant distribution to hundreds of thousands of travel agents, consortia, corporate and MICE bookers, and to travel consumers worldwide via major OTAs and internet booking sites. 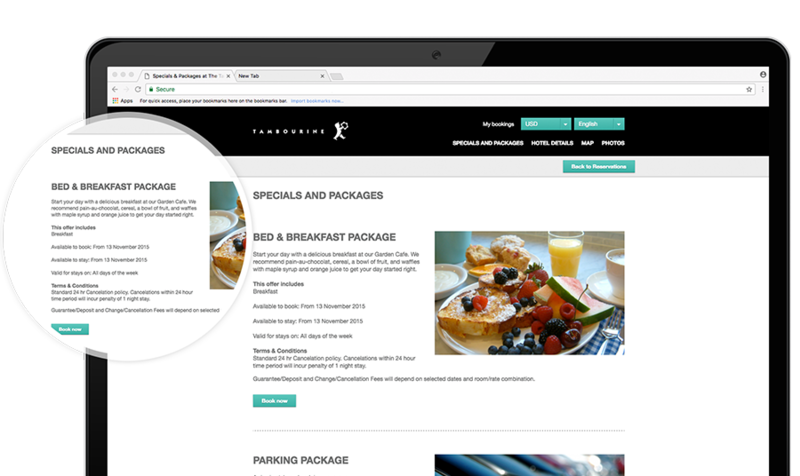 We reduce abandonment to OTAs by pulling current prices from the major OTAs and displaying them alongside your best rate—if prices are out of parity, the hotel site instantly matches the lower OTA rate! 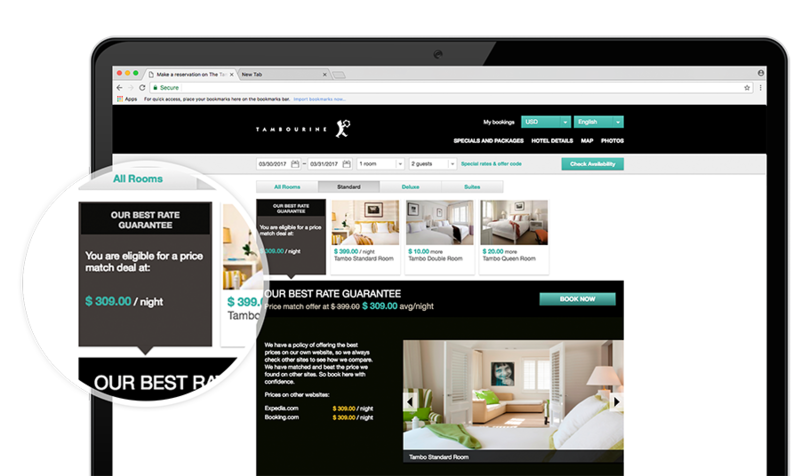 This automatically protects your hotel against OTA rate parity confusion and eliminates the need for expensive rate shopping tools. 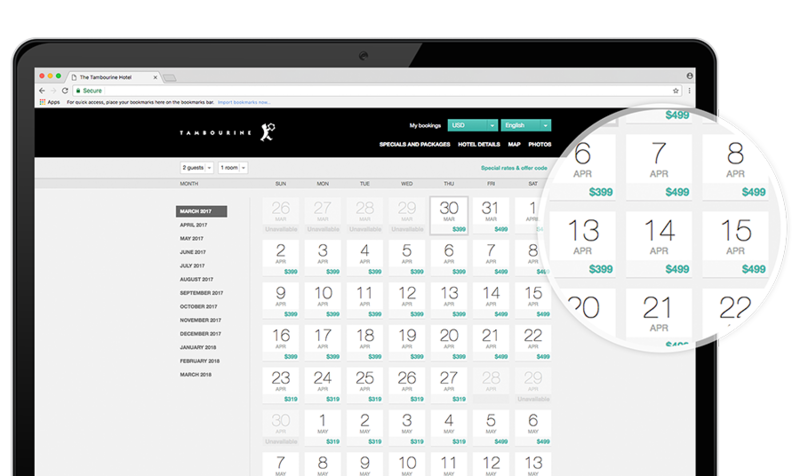 Tambourine was created to provide you with a convenient one-stop source for the technology, people and answers you need to outperform your compset. We handle all your ecommerce needs so you are free to do what you do best…. operate your hotel.